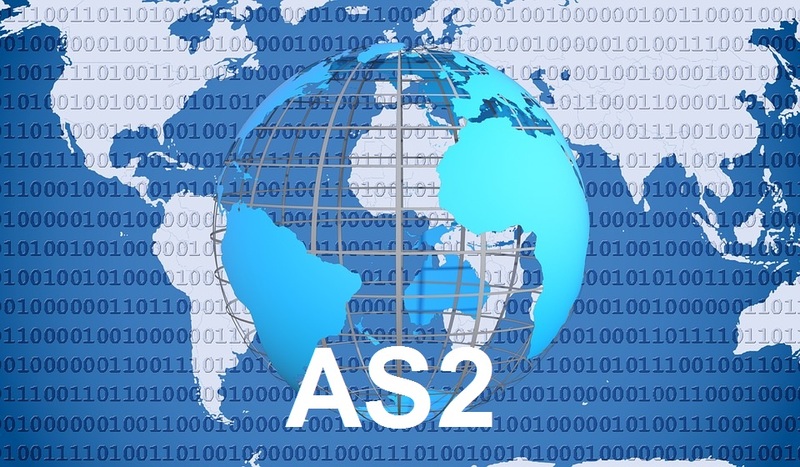 AS2 is one of the most popular and most used methods of EDI data transporting due to its high secure and reliability level. This EDI-INT specification uses HTTP protocol for data transport. The connection is point-to-point type and involves two computers – a client and a server. AS2 (Applicability Statement 2) transmits EDI data in envelopes using digital certificates and encryption. The rapid implementation of Applicability Statement 2 began in 2002 as many retailers began to adopt it actively. This showed that VANs costs can be cut off and reduced and at that time more goals can be achieved. One of the companies in retail sector that became famous for AS2 active implementation was Walmart. Your business will benefit from the provider’s shared infrastructure, skills and security. Applicability Statement 2 is used to exchange purchase orders, advanced shipment notices, invoices, payments, remittance files or other standardized EDI messages. Applicability Statement 2 transactions and acknowledgements occur in real-time, increasing the efficiency of document exchanges. Due to increasing security levels and therefore demands, many businesses require partners to use Applicability Statement 2 for EDI communications.